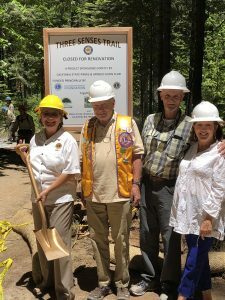 California State Parks recently announced that work to rehabilitate the Three Senses Trail, often called the Braille Trail, at Calaveras Big Trees State Park is now underway. This project is a partnership between California State Parks, the Arnold Lions Club and the Calaveras Big Trees Association that will revamp the park. 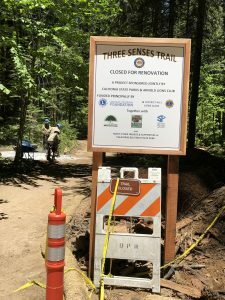 Three Senses Trail, located next to the Big Stump, is a very short loop of just a few hundred yards, intended to help visitors enjoy a sensory experience of the forest. Trail markers display both printed words and Braille. Improvements will include: a wider trail, new benches and viewing platforms, new interpretative signs and a revised trail guide. Lions Clubs International Foundation, District 4-A1 Lions Club, grants from the Calaveras Community Foundation, Sierra Pacific Industries and contributions from supporters of Calaveras Big Trees State Park, provided funding for this project. 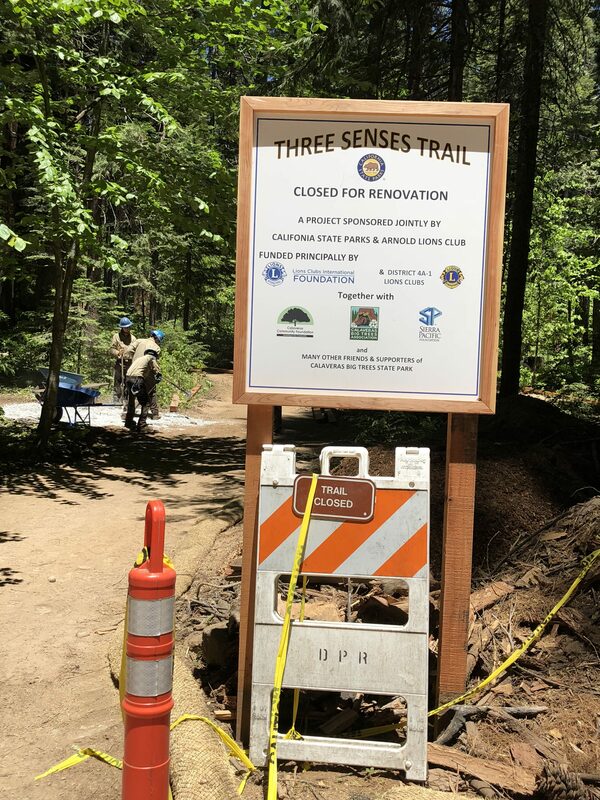 The Three Senses Trail, aka the Braille Trail, at Calaveras Big Trees State Park, is currently closed for renovations.